National Spatial Data Infrastructure (NSDI), a division of Department of Science and Technology, Government of India is organizing NSDI-11 at Bengaluru during 11-12 January 2012. 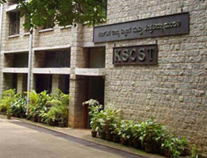 NSDI-11 is being organized in collaboration with Karnataka State Council for Science & Technology (KSCST), Bengaluru. The NSDI has come to be seen as the technology, policies, criteria, standards and people necessary to promote geospatial data sharing throughout all levels of government, the private and non-profit sectors, and academia. It provides a base or structure of practices and relationships among data producers and users that facilitates data sharing and use. It is a set of actions and new ways of accessing, sharing and using geographic data that enables far more comprehensive analysis of data to help decision-makers choose the best course(s) of action. Much has been accomplished in recent years to further the implementation of the NSDI, but there is still much to be done to achieve the vision of current and accurate geographic data being readily available across the country. The conference is proposed to be inaugurated on 11th January, 2012. This will also mark the dedication of Karnataka Geoportal. Shri Vilasrao Deshmukh, Hon'ble Minister of Science & Technology, Government of India has consented to be the Chief Guest of the inaurugal function and Shri D V Sadananda Gowda, Hon'ble Chief Minister of Karnataka is expected to preside over the function. The other key dignitaries likely to attend the event include Hon'ble Secretary DST and MoES, Government of India, Secretary from DST, Karnataka and other key officials from IMD, NSDI, Planning Commission, NIAS, MoD, TRAI, MoUD, Dept. of Land Records, including officials from regional and state SDI's. The conference is being organized at Satish Dhawan Auditorium, Indian Institute of Science, Bangalore. And as part of the two-day programme, a 90 minute special session is being organized on the 12th January, 2012 for the Geospatial industry to discuss policy, technology and also to showcase products, solutions and services relevant to SDI's. With the theme "Realizing State Spatial Data Infrastructure", NSDI 11 Forum shall deliberate upon and focus the various aspects of Geospatial Industry in framing the SDI of Country and provide directions to this community with respect to emerging prospects and trends. NSDI-11 is aimed to create a common platform for insightful mutual dialogue, networking and collaborations amongst Geospatial technology stakeholders. Geospatial Today has been entrusted with the task to market the event. Limited Sponsorship and Exhibition opportunities are available and we request you to make your presence felt at this significant event. 1. Prof. M.S. Mohankumar, Secretary, KSCST, Bangalore - Chairman. 2. Prof. N.L.Sarda, IIT, Bombay. 4. Shri P.S. Acharya, Director - NRDMS, DST, GOI. 5. Shri R Ramprasad, Publications Director, Geospatial Today, Hyderabad. 6. Dr. H. Honne Gowda, Director, S & T, GOK. 7. Dr. V.S. Prakash, Director, KSNMDC, Bangalore. 9. Shri Praburaj, Director, KSRSAC, Bangalore. Venue: Satish Dhawan Auditorium, Indian Institute of Science, Bangalore - 560012.